Some might say the Fast & Furious movies became cartoons a long time ago, what with all the ridiculous gravity-defying stunts they pull off with each installment. It's only now that it has become official, and honestly I can't believe this hasn't happened already. Dreamworks Animation and Netflix have partnered up on a Fast & Furious animated series for kids. 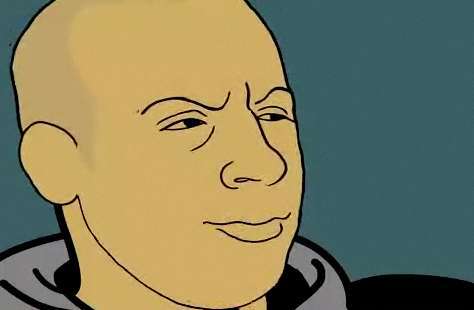 It will follow Tony Toretto, teenaged cousin to Vin Diesel's Tominic Toretto, as he's recruited by the government to infiltrate an elite racing league tied to a criminal organization with plans to rule the world. The film will be exec-produced by franchise mainstays Diesel, Neal Moritz, and Chris Morgan. No word if characters from the live-action films will make appearances but come on, you know they will. Han & Gisele 4ever!! It's kinda like they took the James Bond Jr. concept and added more hawt cars. I dig it. And again, how has this not been done already??? The Fast & Furious franchise has earned more than $5B worldwide and branching out to TV is long overdue. Don't think for a second this is the end of it.